The world of firefighting is relatively unknown to many. 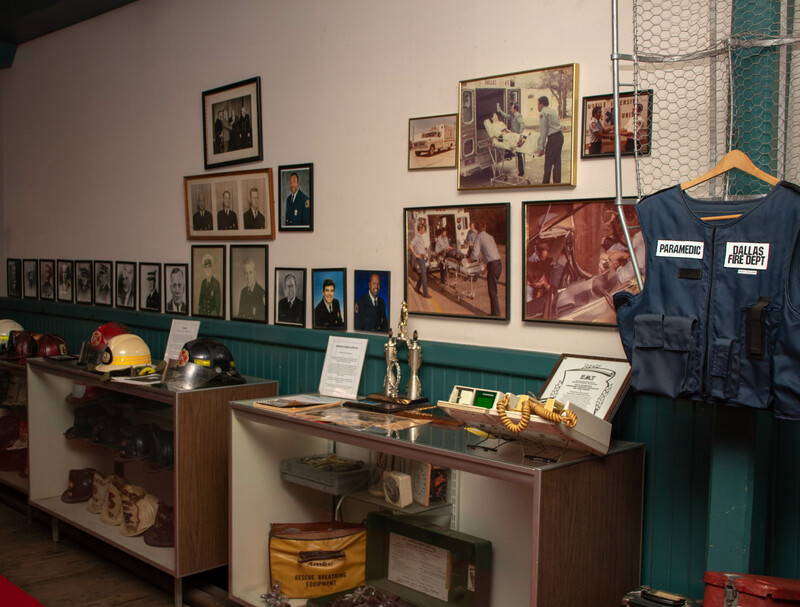 Sure, plenty of us have gone on fire station tours when we were children, but the history and lifestyle of a firefighter isn’t something that most people are privy to. 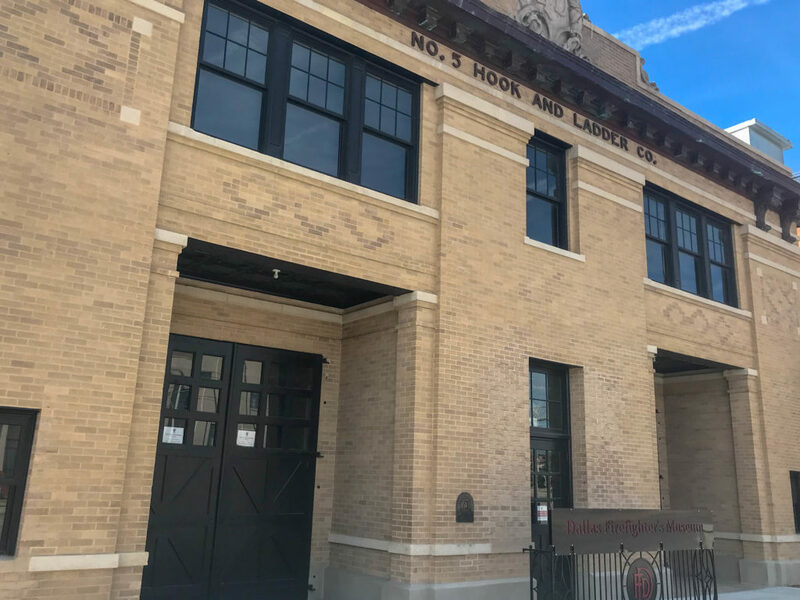 The Dallas Firefighters Museum, nestled in the Fair Park area, is hoping to give the public a good look at the history of the Dallas Fire Department(DFD). I paid a visit to see what they had to offer. Walking into the tiny lobby of this former fire station, the guy behind the counter, Bubba Benningfield greeted me. His credentials? A retired DFD captain. Having served for more than 30 years, he continues to serve – as one of the curators of the museum. Admission was a reasonable $6 for adults, $4 for kids. After paying, Bubba then pointed the way towards the garage area – where the exhibits are kept. The main attraction here on the first floor, in the “apparatus bay”, were the four fire trucks- two horse-drawn and two motorized. All of these dated back to the early days of Dallas and were instrumental in keeping Big D safe. You are allowed to climb on the motorized trucks, providing for a good photo op whether young or old. Visited the Dallas Firefighters Museum this afternoon! Once a working fire station, it contained plenty of artifacts showing DFD’s history, such as this vintage engine used during the 1900s. 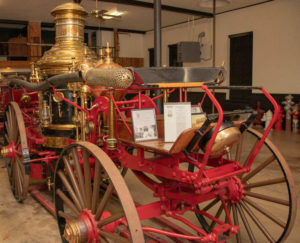 This horse-drawn pumper, named Old Tige after former Dallas mayor W.L. Cabell, was actually housed out of this station that the museum now occupies! Speaking of the station, it has enjoyed a long history of protecting the citizens of Dallas. It opened in 1907 as Fair Park Fire Station and was converted into a museum in 1975. Both horse-drawn and motorized firetrucks alike have called this station home. Old Tige, a horse-drawn steam pumper. It served Dallas from 1884 until 1921. 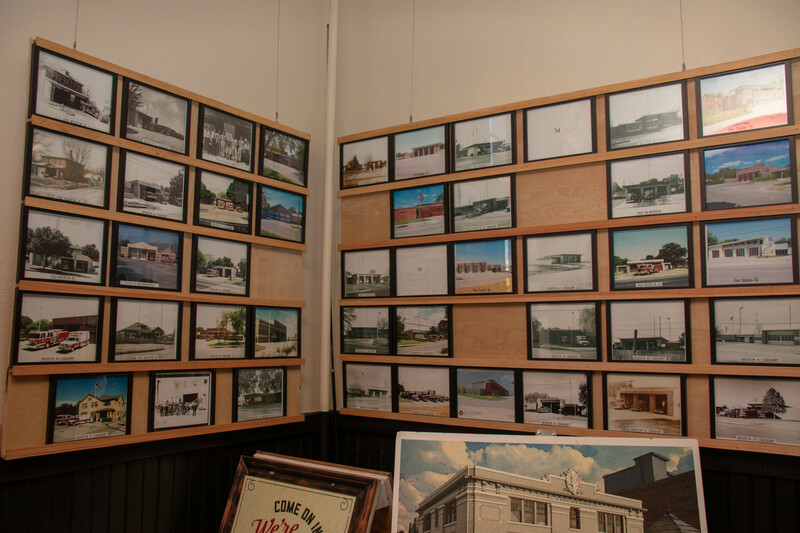 Right across from Old Tige is a wall containing photos of all the different DFD stations. For the older stations, you can see the difference from when they were first built to how they look now. 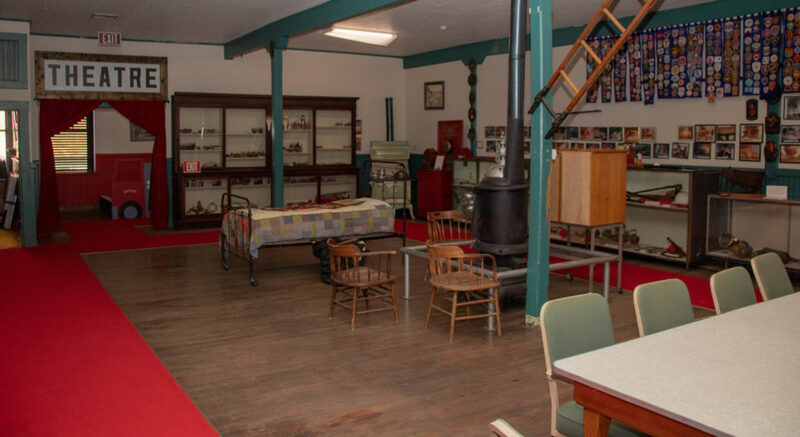 A staircase led to what was the upstairs sleeping and living quarters, now home to numerous display cases full of DFD artifacts. The second floor, formerly the sleeping and living quarters back in the days of Fair Park Fire Station. Firefighters have many traditions; including having a strong brotherhood no matter if they are in Dallas, Denver, or Denmark. To that end, various pieces of memorabilia received from departments across the country and the world are exhibited here. 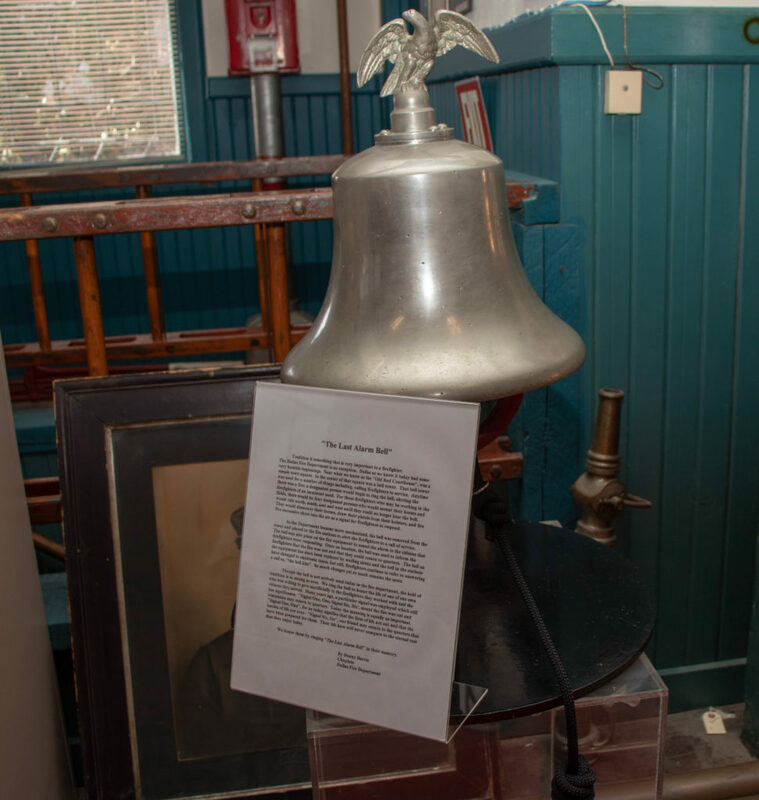 A steel bell was displayed as well, complete with an explanation of the traditions behind it from a DFD chaplain. 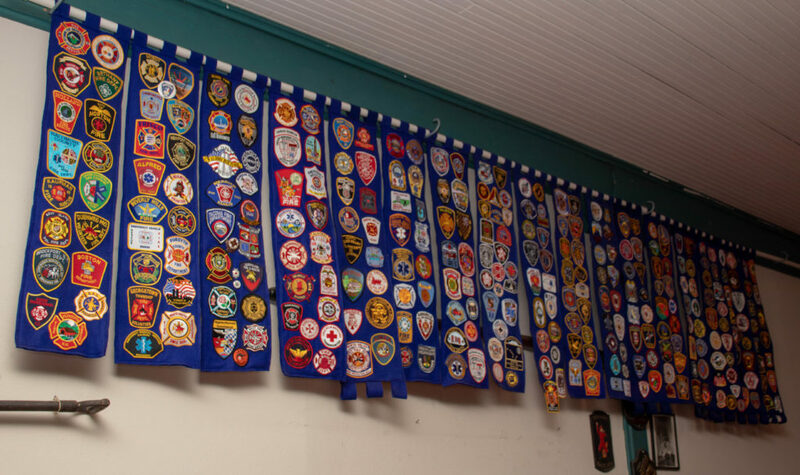 A patch wall had different emblems of fire departments all over the country, much like what was seen at the Hall of Flame Museum in Phoenix. From Frisco to Long Beach, tons of different fire departments are represented here. 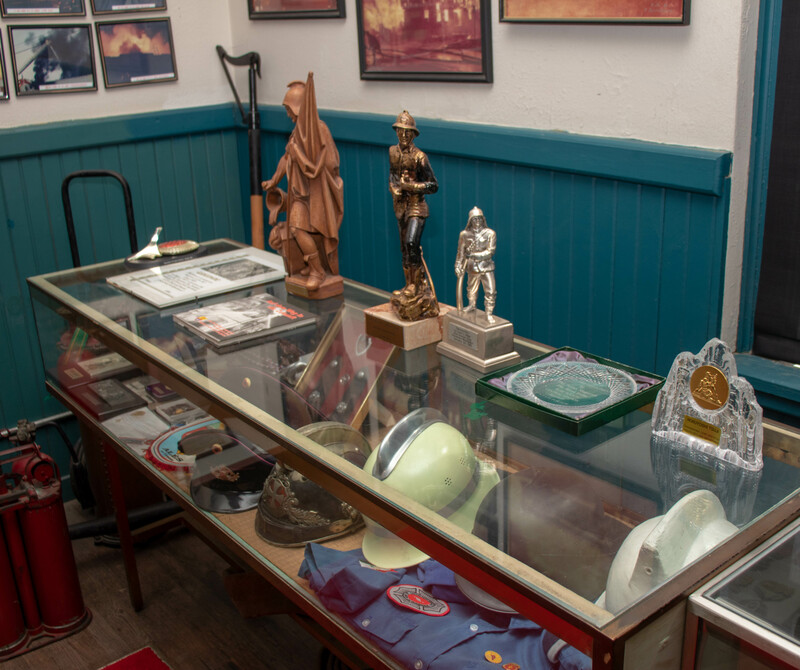 Other display cases had DFD badges and explained the symbolism of the Maltese cross in firefighter badges and logos. There was also a section devoted to EMT equipment through the years, with both vintage and modern gear displayed. Badges issued by the Dallas Fire Department. This section was devoted to the world of EMTs. Equipment such as a defibrillator(on top of the display case next to the bulletproof vest) are displayed here. 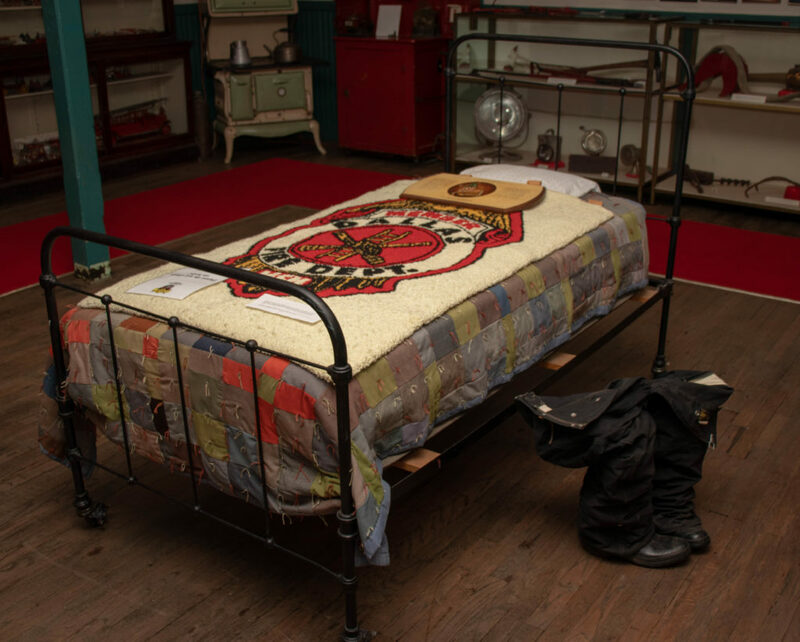 A bed and antique stove were also part of the collection, showing what it would have been like to eat and sleep at the Fair Park Fire Station, awaiting your next call. No vintage fire station would be complete without a fire pole, and this was no exception. Unfortunately, visitors were not allowed to try it out. Completely understandable though. 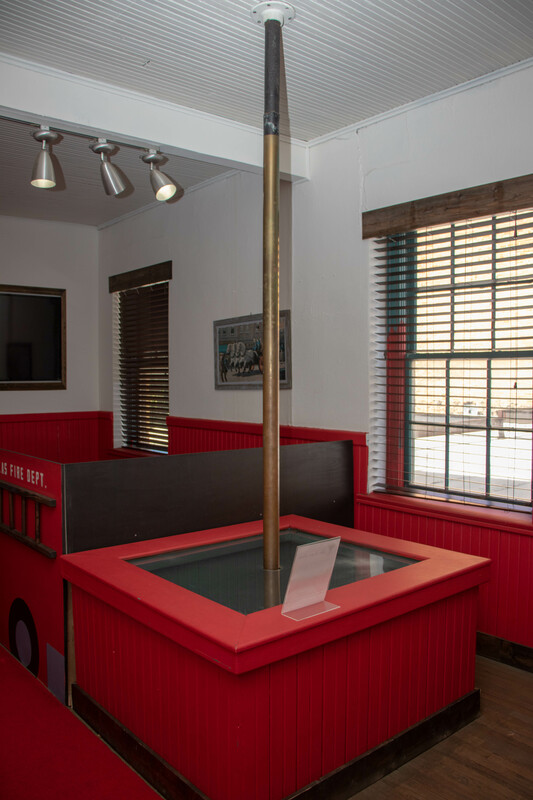 DFD would probably be dispatched to the fire museum semi-often on fall calls if this pole was open to the populace! Sorry, you can’t slide down the pole, as it is covered by Plexiglass. However, you can look down and visualize what it would have been like to slide down as the alert tones rang out. Finishing up my visit, I would give this place an overall thumbs-up rating. It would be nice if they had more artifacts, to which Bubba said that due to this being a former station, space was rather limited. Aside from that though, the Dallas Firefighters Museum is a neat(and off-the-beaten-path) place of D-Town. 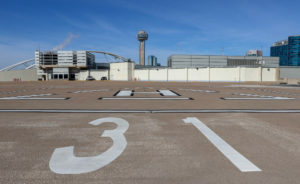 It took me just over 40 minutes to see everything, so it would be a cool little detour if you happen to be around the downtown area, or in Fair Park! 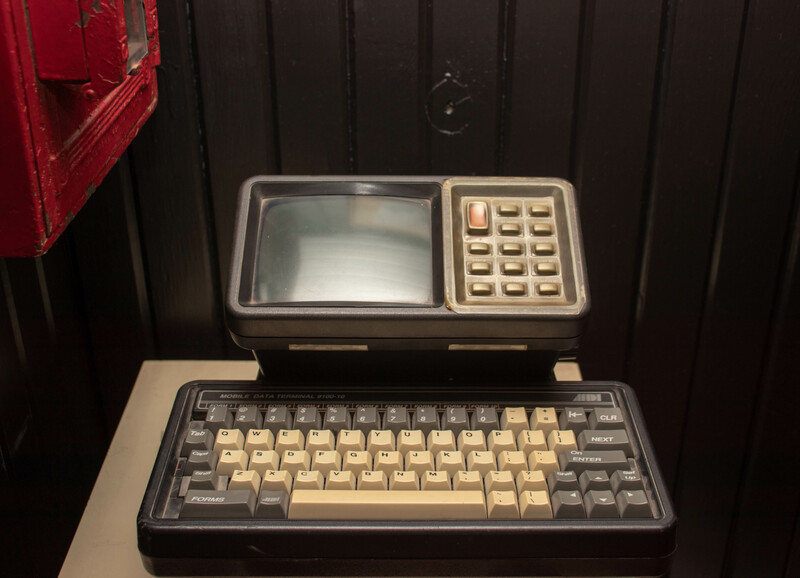 An antique mobile data terminal that was installed on an ambulance. The inner geek in me just had to take a good look at it. It’s a great spot for a family outing. 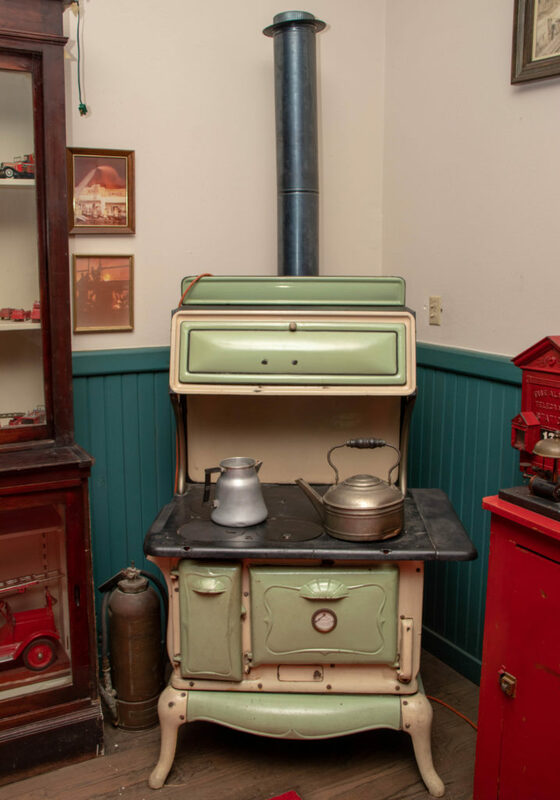 There’s also a larger fire museum in Phoenix that I’ve been to – both antique and modern equipment alike are exhibited. Thanks for reading! We’ll have to add that one to our bucket list, as well. They’d love it! Be sure to read my post “Two Days in Phoenix” for a look inside the Hall of Flame fire museum! If your kids love hiking there are plenty of mountains and trails in Phoenix as well.